1) The legal guardian for the child must be registered in the parish. 2) A copy of the birth certificate must be presented at the time of the baptismal interview. 3) The interview in which the paper work is done and the required class must be completed before the baptism. 4) The godparents must be Catholics in good standing which means they must be fully initiated, baptized, & confirmed. 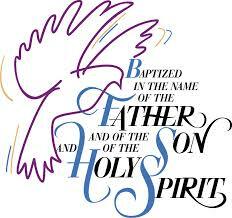 To make an appointment for a baptism interview at which the paper work will be completed, call the parish office (this can be done by one parent or whoever has legal custody of the child).